the Bible App can read to you. When reading the Bible, tap the version abbreviation at the top of the app. Select any version with a speaker icon next to it. Now listen to The Message! The Message was written to recapture the conversational style of the original documents that made up what we call the New Testament, translating God's Word into our everyday language. The Message's smooth, casual flow helps you engage easily with the Bible, so you can better understand its stories and ideas. 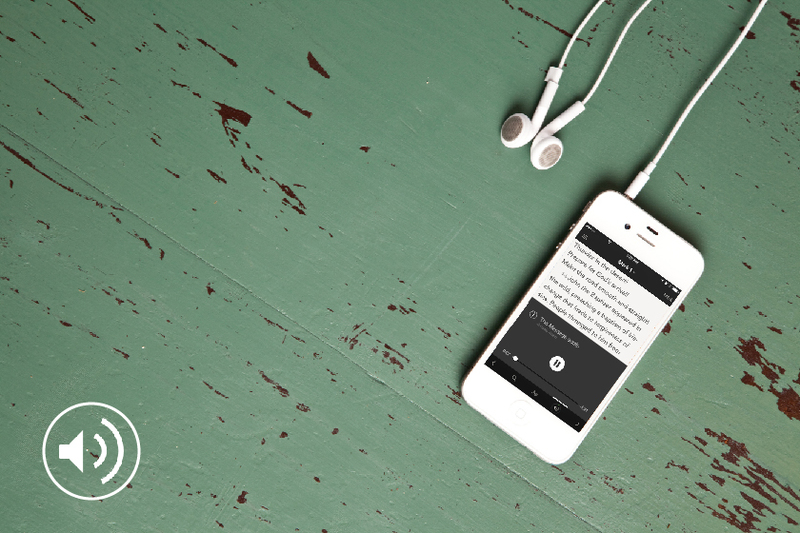 And now for the first time ever, YouVersion partners NavPress and Oasis Audio are generously making the audio version of The Message available to the worldwide YouVersion community! *Audio Bibles are best experienced over Wi-Fi. If you don't have Wi-Fi available when you listen, be aware of your device plan's data limits and restrictions. The 21-Day New Year Challenge Starts Today!